It is Australia's Country Music night of nights time to shine and shine it did! 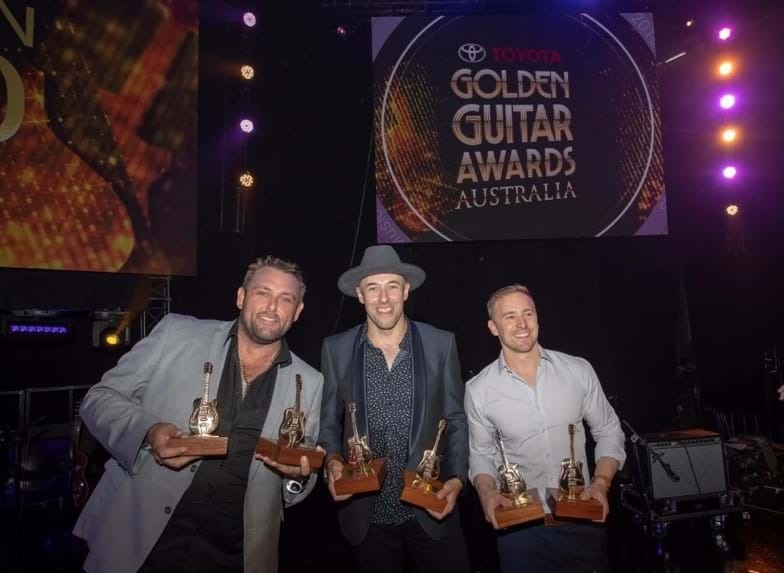 The 47th Golden Guitar Awards were held last night in Tamworth and what a night it was. Hosted by Adam Brand and Amber Lawrence Tamworth Regional Entertainment and Conference Centre (TRECC) was home to a line-up of standout performances. APRA AMCOS SONG OF THE YEAR for Ain’t Seen It Yet, co-written by the band with Erik Dylan. The band hit the stage thrilling the audience, performing their hit single Country Heart, which pays tribute to their country roots and their home in rural Tasmania, where Nick and Tom run their family farm, in addition to their successful career as one of Australia’s leading country bands. Andrew Swift is also celebrating after collecting two awards from his four nominations. The rising Alt-Country artist won QANTAS NEW TALENT OF THE YEAR for his single Runaway Train and ALT COUNTRY ALBUM OF THE YEAR for Call Out For The Cavalry. Swift’s performance of his upbeat single Runaway Train was a highlight of the evening for the thousands of country music fans that attended the awards. Kasey Chambers & The Fireside Disciples took out TRADITIONAL COUNTRY ALBUM OF THE YEAR for their album, Campfire with the group performing The Campfire Song, which pays homage to Chambers’ upbringing in the remote outback of Australia. A huge congrats to all nominees and winners - Australian country music at its best!